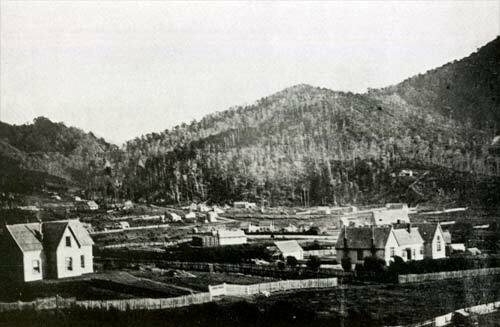 In 1859 Marlborough’s capital was established at Picton, where a town had been laid out in 1851 and many runholders had bought town sections. The provincial council buildings are on the right of this picture (with the jail in the centre). Without a road connection to the Wairau – the main centre of population in the province – Picton’s position as the capital was always in doubt, and the council was moved to Blenheim in 1865. It is a common fallacy that Picton lost its title of Capital. What it lost was the Seat of Government to Blenheim in 1864/65. The title of Capital was bestowed by the then Governor General of New Zealand, General Thomas Gore-Browne. That title still holds today regardless of what some incorrect historians have written.